Sauve calendars for the fast life! If sleek cars are your thing, then this wall calendar deserves a place on your wall! If you’re an automotive brand or a showroom, New Year 2018 would be the ideal time to embark on advertising! A complimentary corporate calendar featuring the best of your breed of cars is just the right way to start the new year! Etch your product in the minds of your consumers with them staring right at the dexterity of your creation, as the year starts! 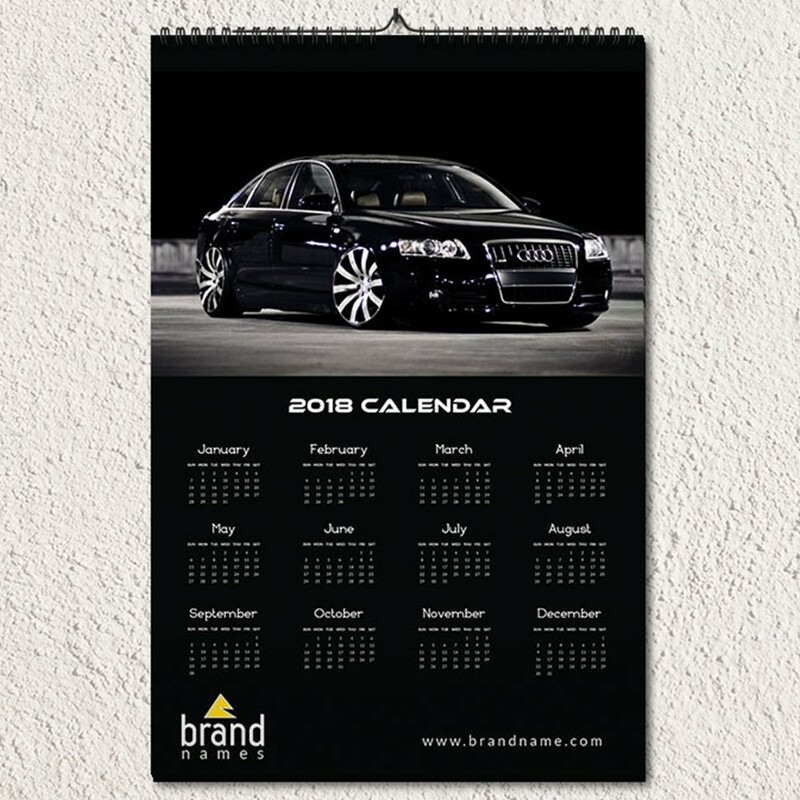 Start positive branding and brand awareness with a creative wall calendar design as a corporate gift.